Become a Healer, Make a Difference and Create a Meaningful Career. 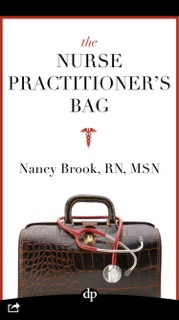 The Nurse Practitioner’s Bag is the go to guide for for prospective nurse practitioner students. Whether you are a college graduate, a registered nurse or a career professional, this handbook is full of advice for both inside and outside of the classroom. Filled with practical advice and inspirational stories, this book provides valuable information about what it takes to become a nurse practitioner in today’s healthcare system. This career is one of the fastest growing in the United States, with the number of nurse practitioners expected to double by 2025. The Nurse Practitioner’s Bag gives you the information you need to complete your education and create a career that makes a difference in your own life, too. The most important qualities you’ll need to become a nurse practitioner. Multiple strategies for choosing and completing the best graduate program for you. How to write your own prescription for self-care and living a well balanced life. Stories of inspiration and hope. A step-by-step guide to career success. Ways you can start positioning yourself today for a thriving future as a healer. Exactly what it takes to create an amazing career that makes a difference. Are you ready to take the next step? Take The Quiz to see if you are ready! If you are interested in becoming a nurse practitioner check out a few of the links below for more information! Or contact me by filling out the information below! 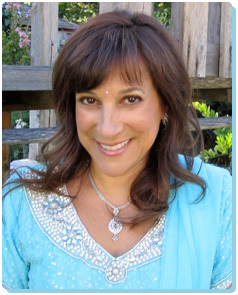 I’m a certified nurse practitioner at Stanford Hospital and Clinics and have been working with nurses, patients and their families for more than twenty years. I am a mentor to nurses and healthcare professionals interested in creating a more meaningful career and a healthier lifestyle, and patients ready to reclaim their lives.